Writing is scary. Ever since I decided to start to take my writing seriously I feel like I live in a constant state of anxiety. But from what I've read, this is perfectly normal. It really is scary just getting to the desk- we're talking now five hours. My mouth gets dry, my heart beats fast. I react psychologically the way other people react when a plane loses an engine. We all start out as beginners. We have to give ourselves time to practice. We can't expect perfection right away. Successful writers stick with it. Over time, they learn. They aren't scared off by bad writing. Author Lawrence Block said that the most understandable trap is to wait for fear to subside before starting. "But it doesn't, won't, and shouldn't. Too much good writing comes from writers on the edge." "You need a certain amount of nerve to be a writer," said Margaret Atwood. "an almost physical nerve, the kind you need to walk along across a river." Do you have the nerve to be a writer? 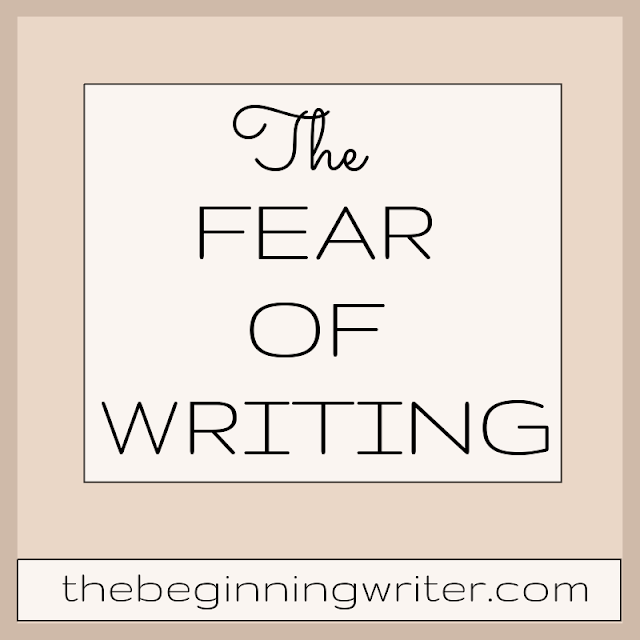 As beginning writers, we have to tackle the fear head on and refuse to let it stop us. Can you do it? I know I can.